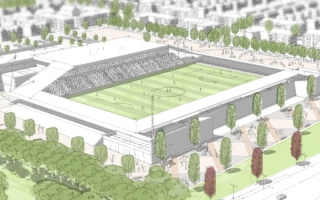 Presented in early 2018, the new stadium of St Albans City would be located south of the actual town of St Albans, beside the M1 and M25 motorways, the latter being London's outer ringroad. 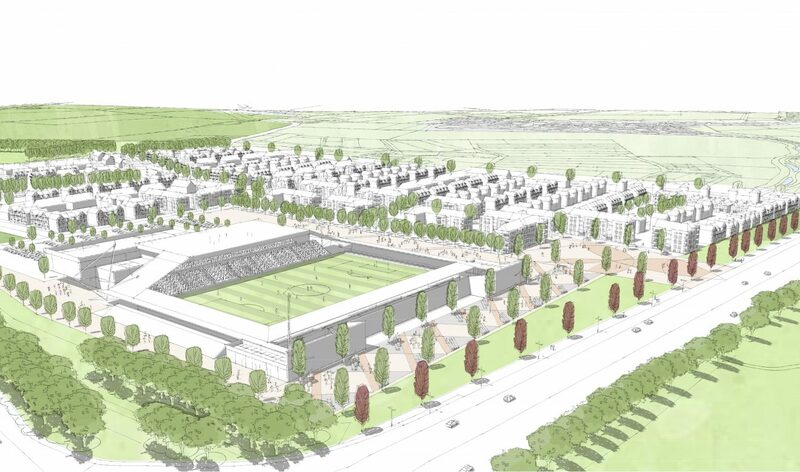 The 6,000-capacity venue with all four sides covered would be a massive leap for SACFC, who at the moment of presentation were a 6th-league team with home ground of 3,700. 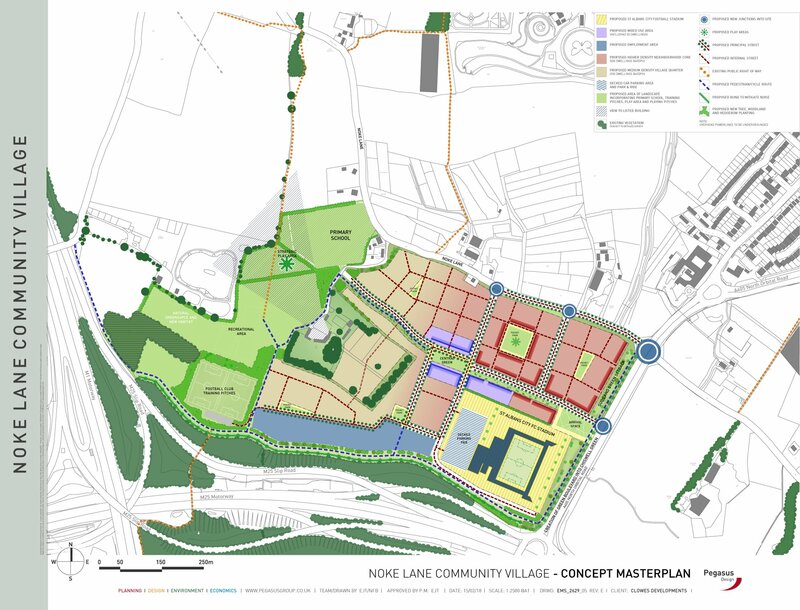 The stadium would be accompanied by a set of training fields, but more importantly almost 900 homes around it. It's precisely the residential part that could help finance the stadium itself, otherwise not affordable for the club. 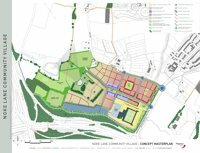 11.04.2018 New design: 6,000 capacity for a 6th-league club? Only in England you could dream of such scale while being an amateur side on the 6th level of the pyramid. 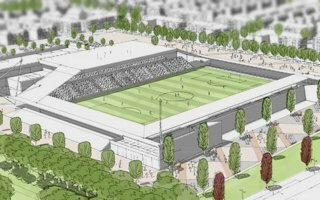 But here they are, St Albans City want to move to their new stadium in 2022.